– Length 2.15 inches, weight 2.4 oz. Looking for a performance long sleeve shirt that will keep you cool, dry, and has built in sun protection when you’re on the range, boat, mowing the lawn, or any formal occasion that requires Swine haute couture? These shirts came about because I take a tactical training class once a month, and pretty much all of them are 2-3 days in the heat, humidity, and (usually) rain here in Florida. I hate putting on sunscreen and bug spray, and I don’t enjoy getting scratched up when shooting around rough barricades and junk vehicles or getting bitten by the omnipresent fire ants when I go prone. So I decided to make something that would keep the sun and bugs off me, in a light color to not be a heat sink, would protect my forearms from cuts, and would dry quickly whether it’s sweat or rain (usually both down here). 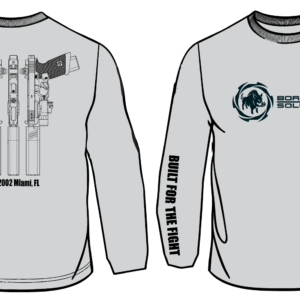 So here’s what I have: Long sleeve performance shirts made of light grey 4 oz. moisture-wicking material, pill-resistant, snag-resistant, athletic fit. UPF 30+. Sizes: S-3XL. Current completion time approx 2 weeks. This is a pre-order, so from now until we get them in stock, you get free shipping on these. Finally, after many requests! High quality and durable mesh-back trucker cap, with velcro rear closure. Semi-reinforced structure allows you establish a nice broken-in (but not sloppy) shape with use. Front embroidered patch is stitched over a fabric backing that will develop a nice fray at the edges over time. The rear closure is embroidered with our company motto “Built For The Fight”. Proudly embroidered “Est. 2002”, as that’s when Ben first started customizing pistols for local clientele. Top button is easily removable to comfortably wear the hat under ear pro. 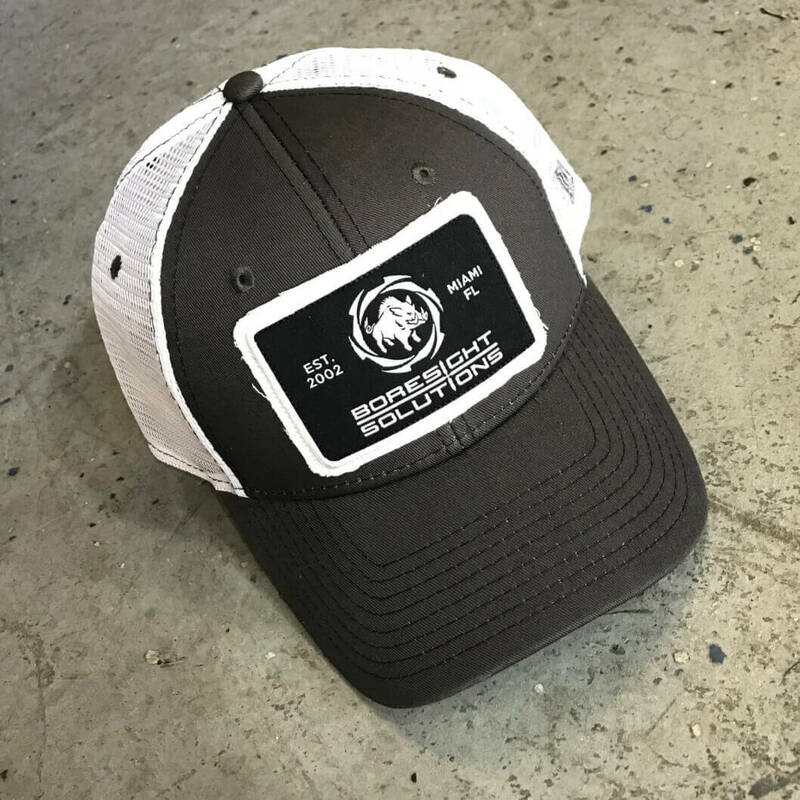 Hat body is dark grey, back mesh is white, and front patch is black and white. 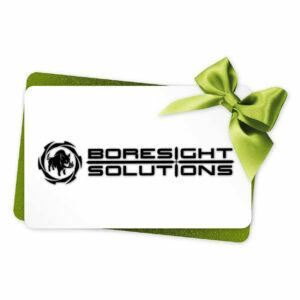 A Boresight Solutions Digital Gift Card is the perfect present! You can choose any dollar amount you like. During the checkout process, you’ll be able to choose to have it emailed to yourself or to its intended recipient. Gift Certificates are valid for 12 months from time of purchase. 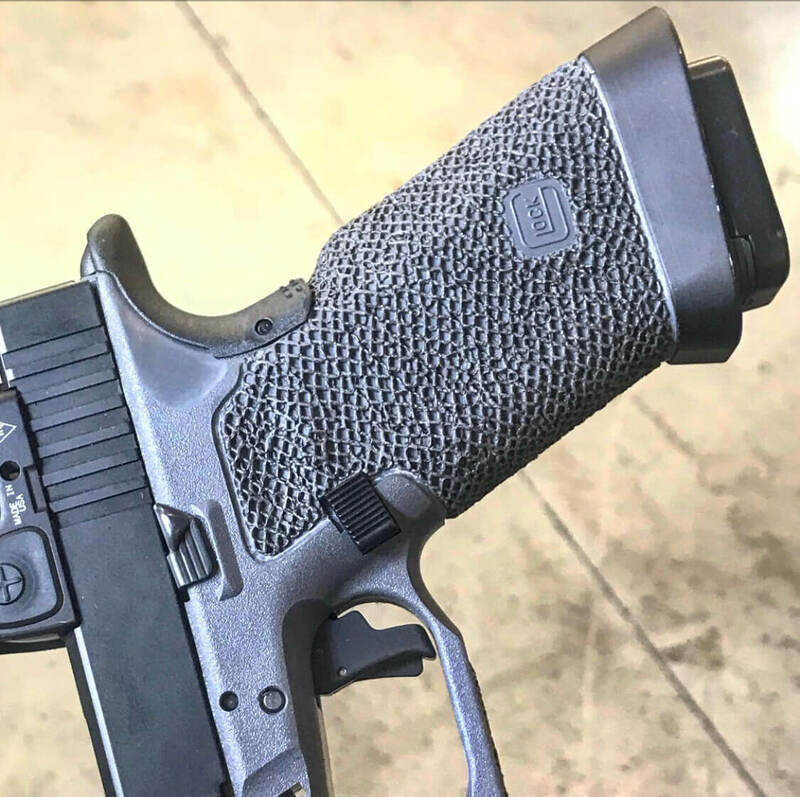 Raven Concealment “Freya” magwells for GLOCK 17 gen 4. Black, sterile (unmarked/no logo). Raven Concealment limited edition clear “Eidolon” AIWB holster, ambi agency kit. Full double sweat guards and enclosed/tapered bottom for comfort. (In photo, the outboard sweat guard has been removed) For GLOCK 17, 19, and 26 size pistols. 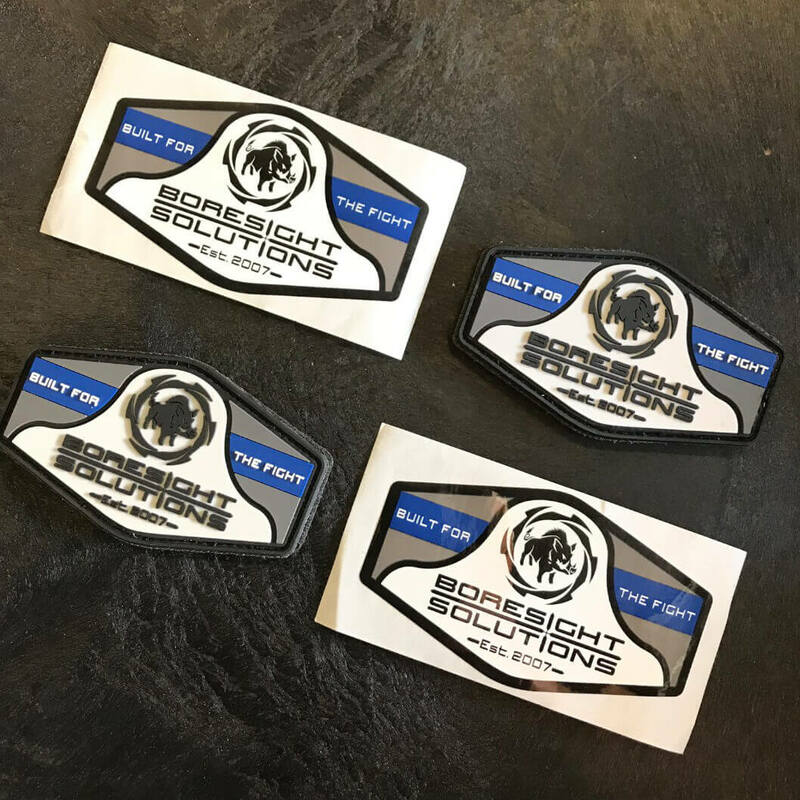 Belt clips are 1.75” overhooks (we find these better for fitting a wide variety of belts, and also for ease of adjustment when sitting/driving; they still Grip and retain perfectly on a 1.5” belt). Not light compatible. Not compatible with gen 5 unless outboard sweat guard is removed and notched for ambi slide stop (see below for assembly option). 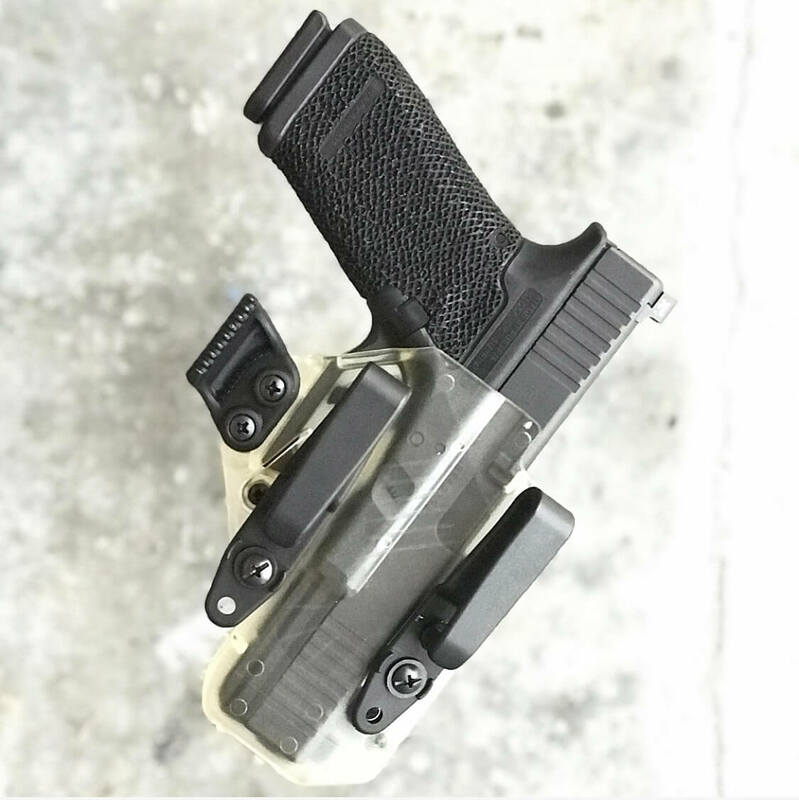 If you’d like, we can assemble this holster for you, remove one or both sweat guards (cut surfaces will be smoothed and chamfered), and also notch for gen 5 prior to shipping. 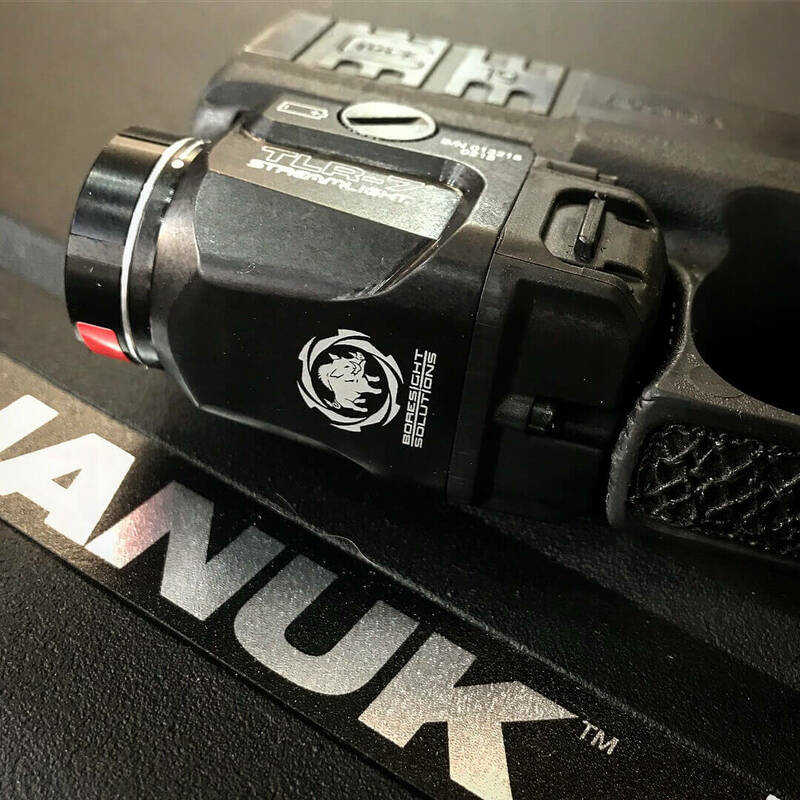 In the notes section of your order please list if you carry right or left handed; if you prefer a higher ride for easier grip/draw, or a lower ride for better Concealment; if you want just the outboard sweatguard removed or both; and if your pistol is a gen 5. $15. Streamlight Keymate USB-rechargeable LED lights. 35 lumens. 3 modes: low, high, and emergency flash. 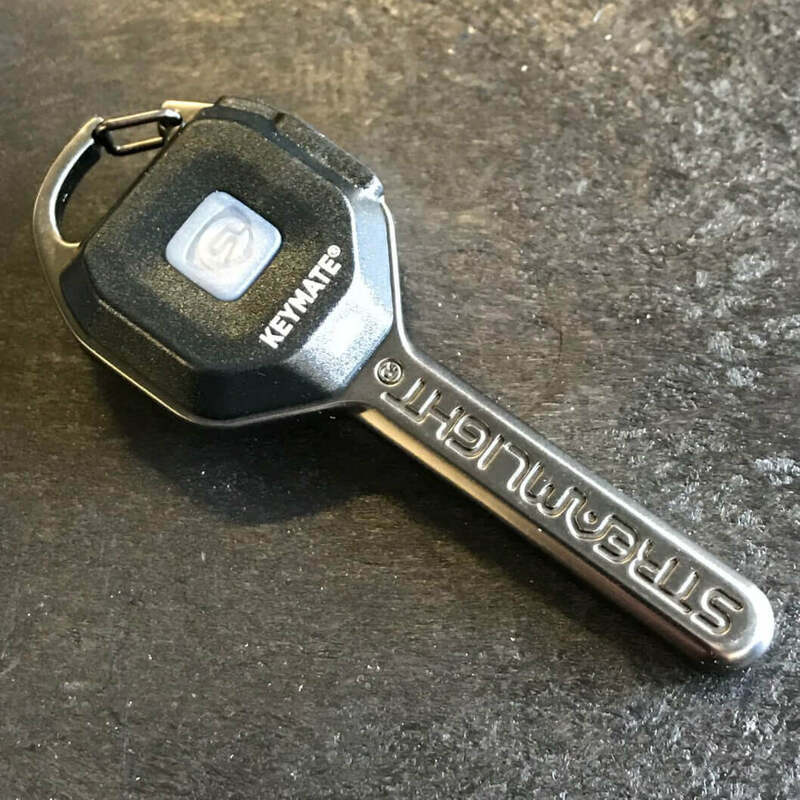 Clip to a keychain for everyday use, or to your collar and use as an emergency work light. Engraved with Boresight Solutions logo on the back. This little widget is small enough to go everywhere with you, and is probably one of the handiest lights you can own due to its unobtrusive size. 800 lumens, with strobe feature. Concentrated and bright, the crisp beam gives a better working pattern than many competitor’s lights, and illuminates well through heavy window tint. Clamp mount requires no tools, and is compatible with a wide variety of popular platforms. Attaches safely from the side rather than having to be slid on from the front, so your hands are never in front of the muzzle. 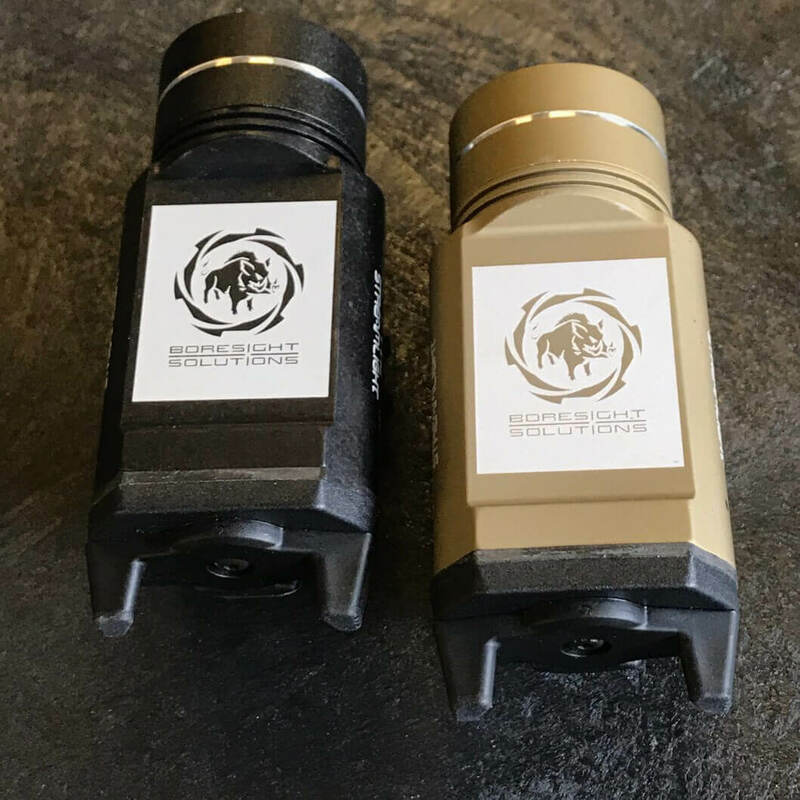 Black or FDE, and engraved with Boresight Solutions logo on the bottom flat. Swine pride! 2x 4-color PVC velcro backed patches, and 2x 4-color weather and UV resistant vinyl decals.